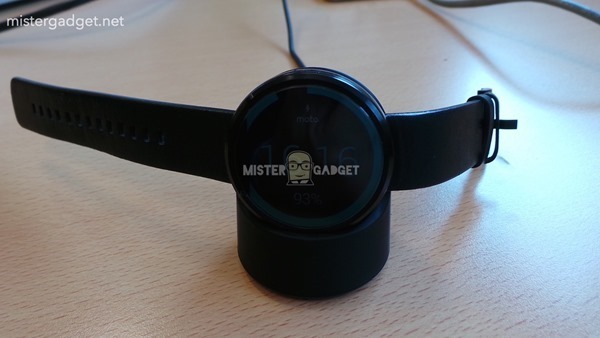 When Google first took the wraps off Android Wear, a smartwatch-flavored variant of the famed mobile software, a number of manufacturing partners were also outlined. On the very day of the announcement, both LG and Motorola showcased their inaugural efforts, with the respective G Watch and Moto 360. 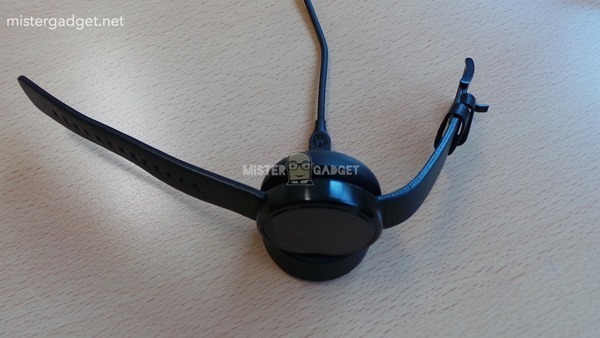 Among most of our readers, as well as the whole team here, the Moto 360 was the stand-out, featuring a slick, traditional design, and after handing out samples at I/O, we’re now beginning to see some accessories and peripherals. 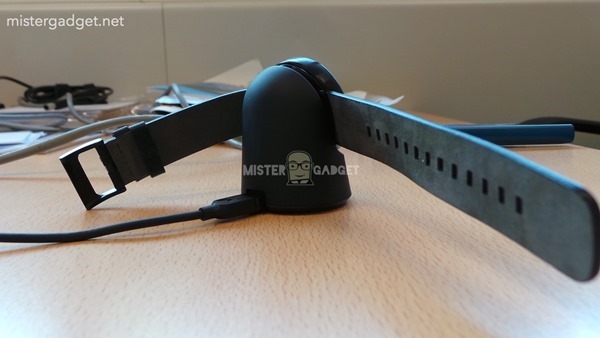 Below, we take a look at the wireless charging dock, which also morphs your device into a night stand / bedside clock. According to MisterGadget, this is a proper wireless charging cradle, and on first glance, it’s just as well-designed as the device itself. 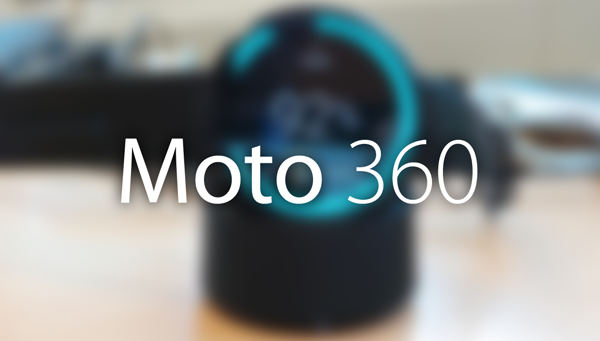 Suitably small and inconspicuous, it can sit on your desk or on your bedside table when not in use, and when you do happen to dock your Moto 360, the display will present you with the time as well as battery capacity. 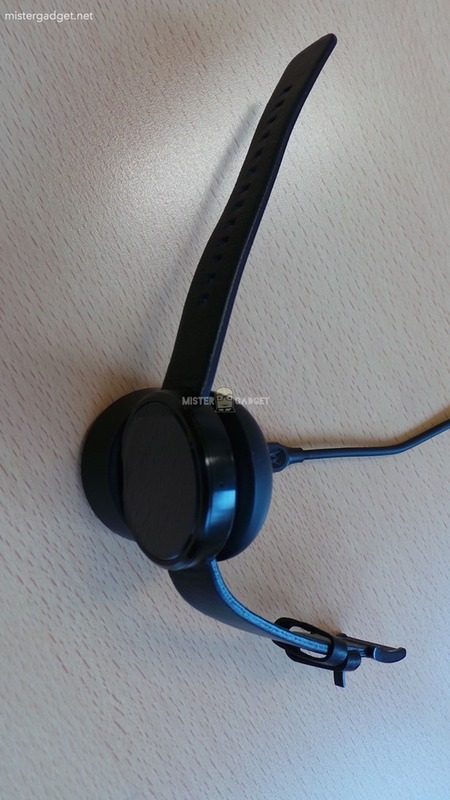 Wireless charging has experienced an indifferent start in mobile space, but given the size constraints presented with a smartwatch, it’s likely to become increasingly commonplace as the market adapts to this emerging kind of technology. Since the announcement of Android Wear, we’ve also seen the likes of Samsung come through with the Gear Live smartwatch, and with Apple also apparently planning the elusive “iWatch,” we could have a real battle on our hands. certified to IP67 standard – rendering it completely dust and waterproof to 1m depth – it should be rugged enough to deal with the day-to-day environments. 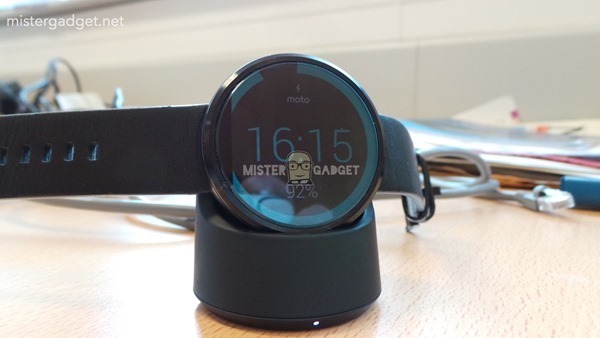 With fitness, health and wellbeing set to play a pivotal role in the smartphone boom, MisterGadget also suggests that the Moto 360 will include a pedometer and heart-rate sensor, and although we’ll have to wait and see whether there’s any truth in these claims, it’s very likely that Motorola is exploring this avenue as it looks to establish an early lead over those aforementioned competitors. 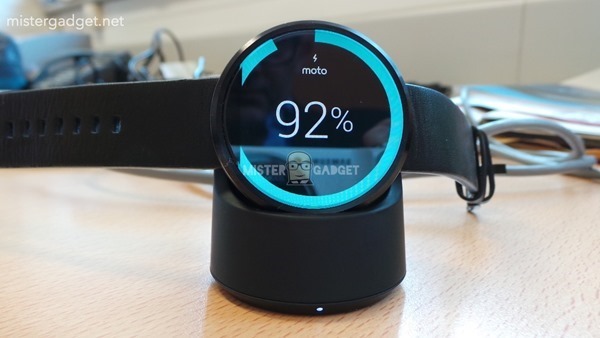 What do you think of the Moto 360 and its wireless charging dock – does it have your vote? Earlier I learnt a lot about it but never knew its wonderful benefits. Will surely try to avail this awesome resource. Thanks for sharing this wonderful post.